Jake the Cat enjoys the annual fund-raising game for Fort Collins Cat Rescue. Jake always brings some kitty friends to the game for adoption, and he also pawed the ceremonial first pitch. For information on FCCR, click on Jake's photo. Kara Pappas of the Larimer Humane Society (left) receives a check from Foxes GM Kurt Colicchio. Each year, the Foxes host LHS in a community awareness and fund-raising game. For more on LHS, please click on the photo above. The Fort Collins Foxes have donated to assist in the conservation of the Channel Islands Fox, listed as critically endangered by the International Union for Conservation of Nature (IUCN). 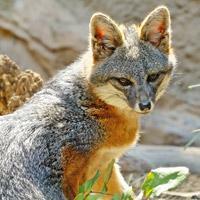 For more information on this cute little fox, click on his photo. Sly-der greets the kids at Tavelli Elementary School. Sly-der was there to inspire the kids to do well in their annual Walk-A-Thon. Foxes players read "Green Eggs and Ham" to kids on the field at the annual "Tiny Tots Game." 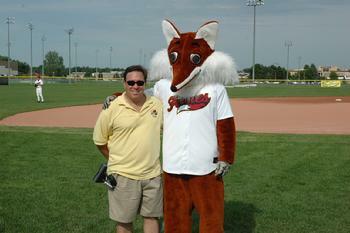 Kurt Colicchio is the owner and General Manager of the Fort Collins Foxes. Kurt is a graduate of the University of Southern California Business School's Entrepreneur Program. He started, operated, and later sold a successful movie prop rental business in Hollywood, CA, and was a part owner of the Yakima Bears, a Northwest League affiliate of the Arizona Diamondbacks. Kurt and his wife Nicol, live in Fort Collins. He enjoys cooking, history, and visiting the best steakhouses in America in his spare time. If you are a college student who is interested in serving an exciting and fun internship (publicity, game operations, or graphic design) with the Foxes during the spring and/or summer of 2018, please contact General Manager Kurt Colicchio via email --- and make sure to attach a copy of your resume! "Kurt Colicchio has had a life-long passion for the game of baseball and it has been exciting to see his plans develop. I believe it will prove popular for the communities involved and will be well-received by both the collegiate programs and professional baseball." Fred Claire, former Executive Vice-President and General Manager of the Los Angeles Dodgers. 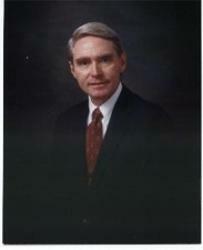 Fred now serves as a sports consultant, and is a member of the board of directors for the Rose Bowl Stadium. Fred's book (Fred Claire: My 30 Years in Dodger Blue) was released by Sports Publishing, LLC in 2004, and he now partners with Ari Kaplan at AriBall.